Subscribe to Chris's Email List! Submit Your Questions for "Ask the Cast"
Click here to ask the characters a question! Coming 6/12/2019: The Audiobook Performed by Todd Haberkorn! When you pre-order, you get the pre-release discount of $12.99 vs. $15.99 and you won’t be charged until 6/12/2019! 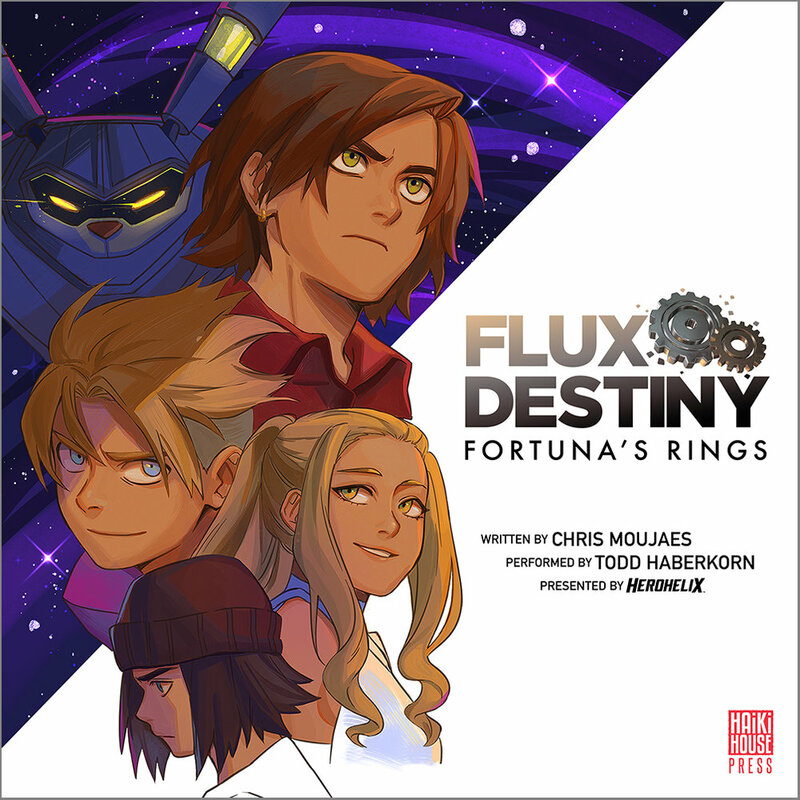 Flux Destiny's Chris Moujaes gives you artist/writer advice, exclusive behind-the-scenes updates, and special offers for fans when you subscribe! Hey, that was cool of you! Please CHECK YOUR EMAIL to confirm your subscription and get some free exclusive content!